We offer a wide range of finishing materials, so you can be as creative with your design as you like. Each Reyem partition comes with an assembly kit which allows you to combine several units to form a screen to suit your space. 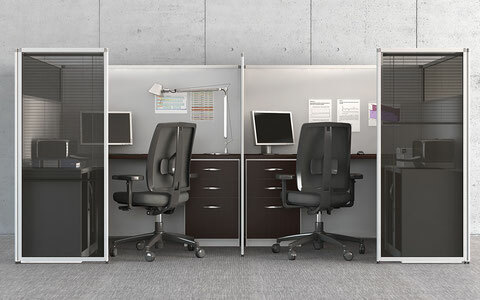 Reyem partitions are custom made and available all solid or fully glazed or any combination of part solid & part glazed. Melamine from SWISS KRONO 19mm thick. Discover our melamine colours here. 100% PEFC and FSC panels. We offer the entire range of CARA and LUCIA textiles from CAMIRA FABRICS (GB) for maximum freedom of design. Discover our fabric colour palette here. 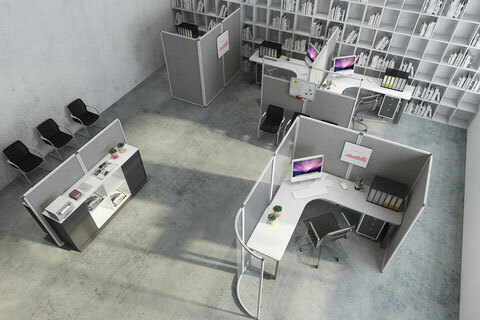 Acoustics have become a key consideration for office layout. They are an effective way to improve the comfort and well-being of the people using the space. - The Acoustics Range: an economic solution for moderate acoustic absorption. - The Super-Acoustics Range: for optimum sonic absorption. 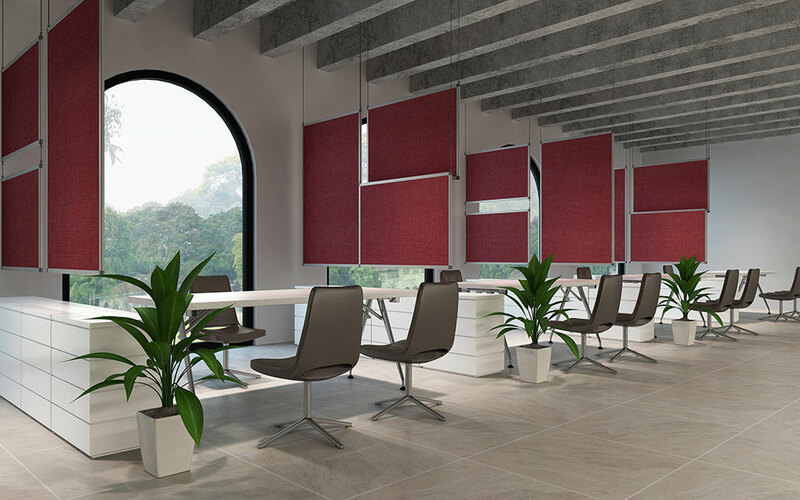 Super-Acoustic panels can be wall-mounted, suspended from the ceiling or, like all other Reyem screen systems, be used as a desk screen or office partition. 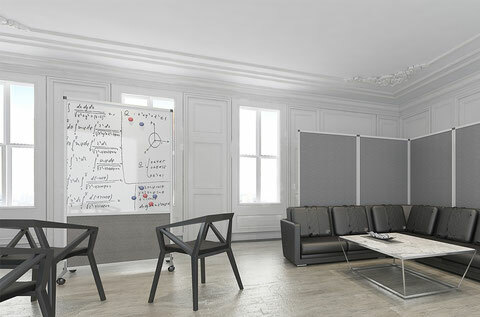 Discover our acoustic tests here. 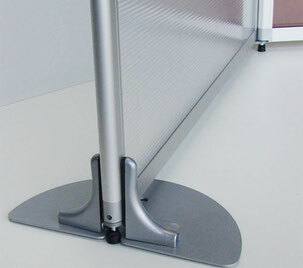 Colorless, gray transparent or opal glazed screen made with 3mm thick acryl glass. Also available: 6mm thick colorless alveolar polycarbonate, Fire safety classification: B, s1, d0. The Reyem system has allowed us to develop a range of magnetic or whiteboard panels which maintain all the functionality and modular freedom you require. These panels are both highly functional and fully modular. - Perforated magnetic lacquered sheet steel (RAL 9006). 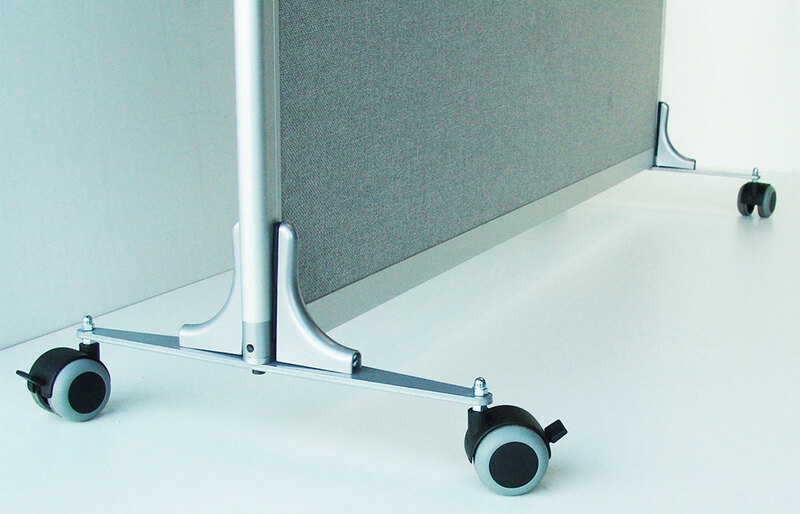 Depending on how you want to install your partitions and the layout of your office, you may need to use stabilisers or adjustable feet. 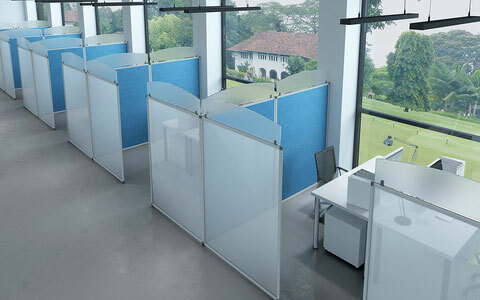 Reyem partitions can be customised with the addition of frosted tempered glass tops. 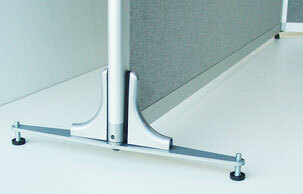 The upper aluminium rail on the partition allows you to add accessories (coat-hook, shelf, etc. ).